Last month JP Morgan suggested that Apple will announce two new iPhones. Al Gore, a member of the board of directors at Apple confirmed that shortly after. Plus at this point the announcement of the iPhone 4S seems guaranteed. Earlier today it was spotted on the Vodafone Germany website and that’s as good a confirmation as we can get before the actual launch. The device, carrying a model number “N90A” (N90 is the model number of the iPhone 4 GSM version), will look identical to the current iPhone 4, but will be offering three storage options (16/32/64GB), rather than just two as the current iPhone. There’s also good reason to believe that the iPhone 4S will be packing refreshed hardware under the hood. Apple’s A5 chip used in the iPad 2 is believed to be powering both the iPhone 4S and the iPhone 5. The amount of RAM on both devices is expected to be 1GB – double what the iPhone 4 offers. The iPhone 5, however, will be boasting a new, thinner body and a larger, possibly 4″ screen with the same crisp Retina resolution. The update from the current 3.5-inch Retina Display means that the phone could get a bit wider and taller, as some leaked cases for next-gen iPhone 5 suggest. 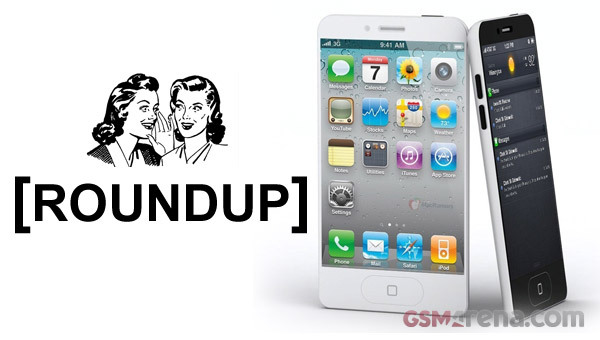 Of course rumors covered some other stuff – like LTE and NFC connectivity, but those seem unlikely at this point. Plus with the announcement event coming in under 24 hours there’s little point to continue with the guessing. Just make sure you tune in here tomorrow at 10AM PDT and we’ll make sure you find out everything there is to know about the new iPhone.